Oh Mon Dieu! 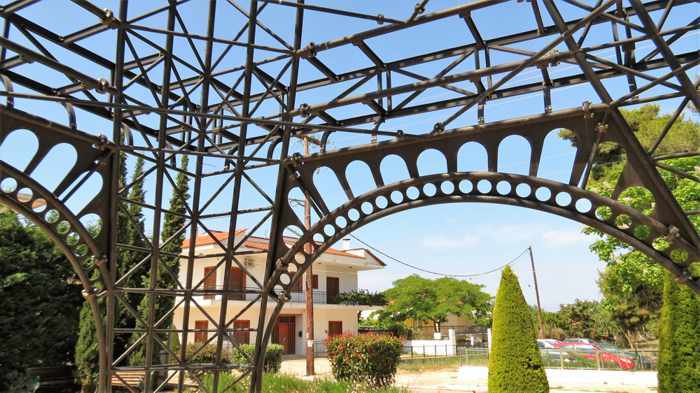 :The most memorable “Stop the Car!” moment of our road trip through Messenia happened while we were driving through the small town of Filiatra, en route from Marathopoli to Kyparissia. 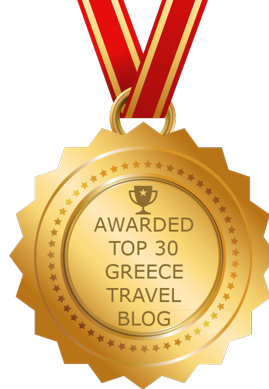 As the car moved along the clean, tidy streets, passing attractive stone houses and some cute small homes, we were chatting about where we might want to stay if we ever had an opportunity to spend all or part of a year in Greece. I remember commenting that Filiatra looked like a nice, comfortable and quiet place that might be suitable — based on what we were seeing through the car windows, at least. Then we turned a corner and saw an Eiffel Tower looming up ahead. 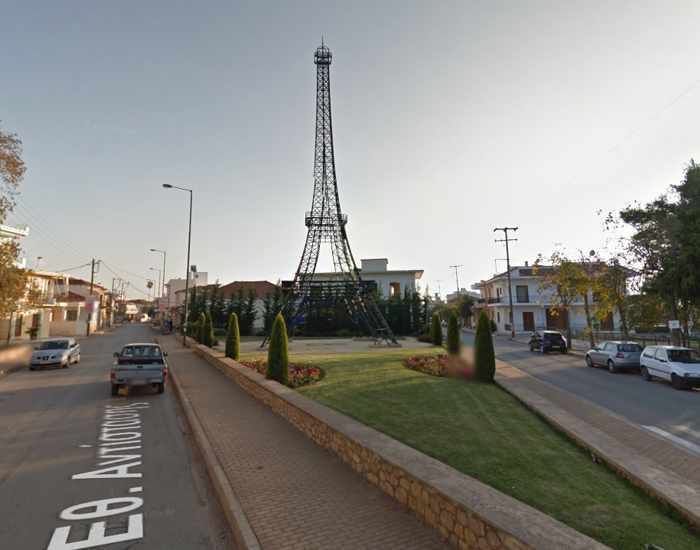 This Google Streetview image shows the Eiffel Tower replica in a wedge-shaped parkette at the northern entrance to Filiatra. But there it was, rising from a landscaped parkette near the northern entrance to Filiatra on Highway 9. 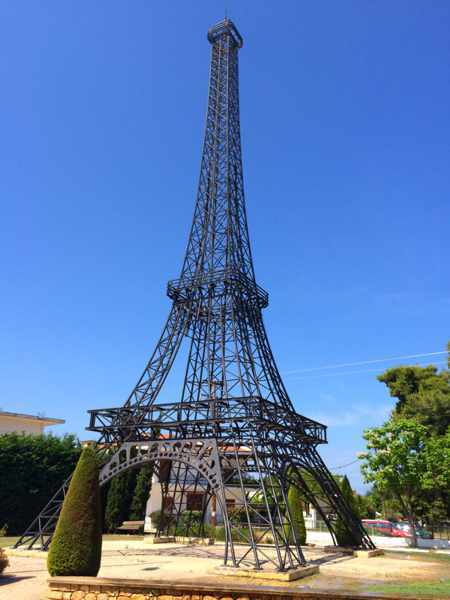 We parked the car and got out for a few minutes to take photos, but it wasn’t until we were back home that I was able to do some online searching to find out why the town has a replica of the iconic Eiffel Tower. Fournier’s creation isn’t a true replica, however, since its design differs in a few major details. 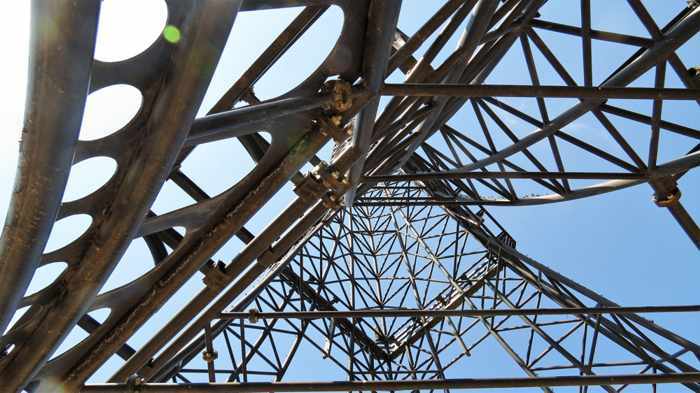 As an article on the Wonders of the World points out, Fournier used light grey metal to construct the tower, which he shaped “a little too long.” Fournier also placed the second floor of his tower too low, compared to the original, and changed the shape of the third floor. 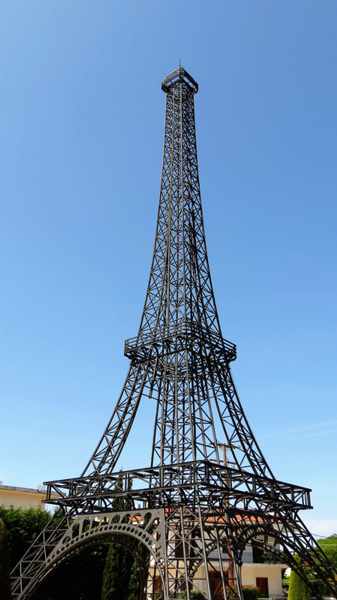 But to a tourist driving by, Fournier’s version looks like a convincing, shorter copy of the real thing (his stands 26 meters, while the Paris landmark soars over 300 meters high). 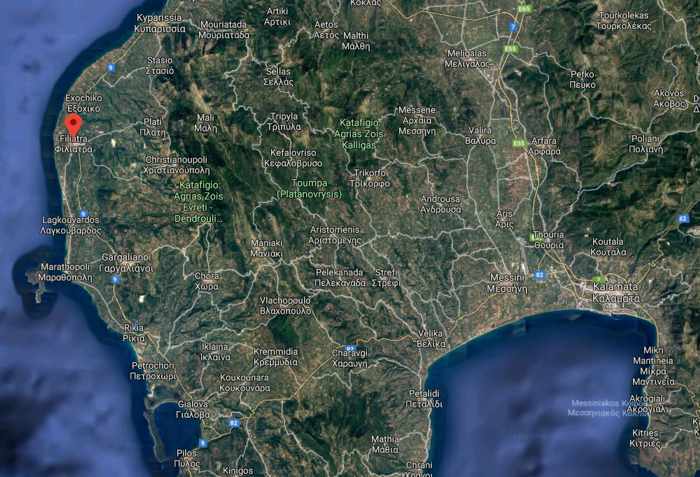 The small town of Filiatra is located roughly midway between Marathopoli (middle left) and Kyparissia (top left). 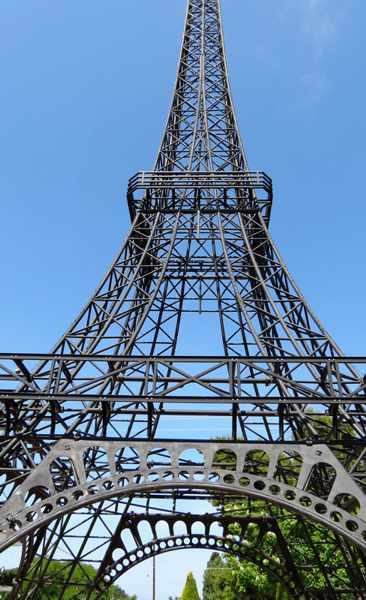 If you’re driving through the area and want to take a look at the Eiffel Tower replica, you’ll find it at the northwest edge of the town along Highway 9. You can’t miss it if you’re driving toward Filiatra from Kyparissia — the tower is visible from a distance outside the town.